My chamomile has finally bloomed after planting them in winter this year.. 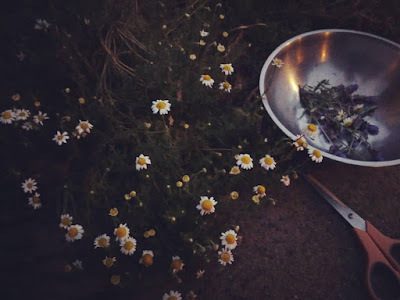 I was out taking a walk early this evening, when I saw the chamomile flower blooming. Of course I got very excited. Chamomile has many wonderful healing properties, and I have yet to know much about it. 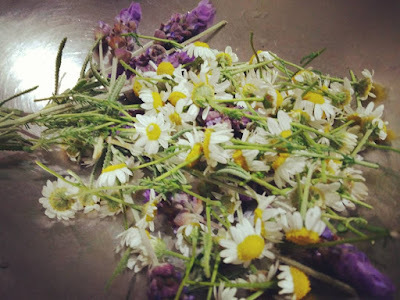 Considering it was my first time working with this plant/herb, all I could say is that I am still experimenting without it, and learning how it would work for our bodies.